Certain bands are irreplaceable and My Dying Bride is one such name. In an attempt to keep the fans happy we have managed to secure not one, but two international doom metal acts. We are happy to announce that on Friday the 27th, Hallatar, the all star band whose line-up consists of Tomi Joutsen (also known as the singer in the Finnish band Amorphis), Juha Raivio (the mastermind behind Swallow the Sun) and Mika Karppinen (known as the drummer for the goth metal band H.I.M.). This marks the band’s first ever performance outside their home country! The second doom band added to our line-up is October Tide who is to perform in its entirety on Saturday the 28th of April, their masterpiece, Rain Without End! 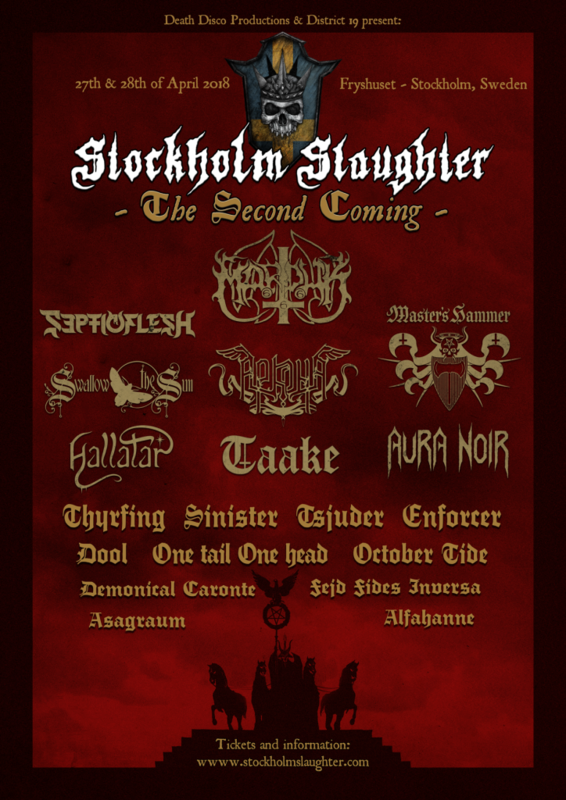 Saturday: Alfahanne, Arkona, Asagraum, DOOL, Enforcer, Fejd, Marduk Official, Master’s Hammer, October Tide, One Tail, One Head, Sinister Official, Swallow the Sun, Taake (Official). 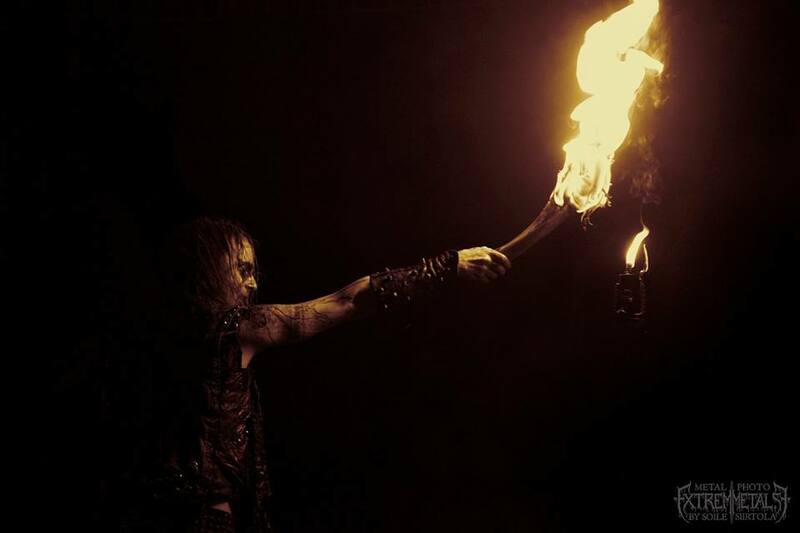 With the addition of SEPTICFLESH-official-, Taake (Official), AURA NOIR [official], Tsjuder, Demonical, Caronte, Fides Inversa and Alfahanne the bill for 2018 is finally complete. 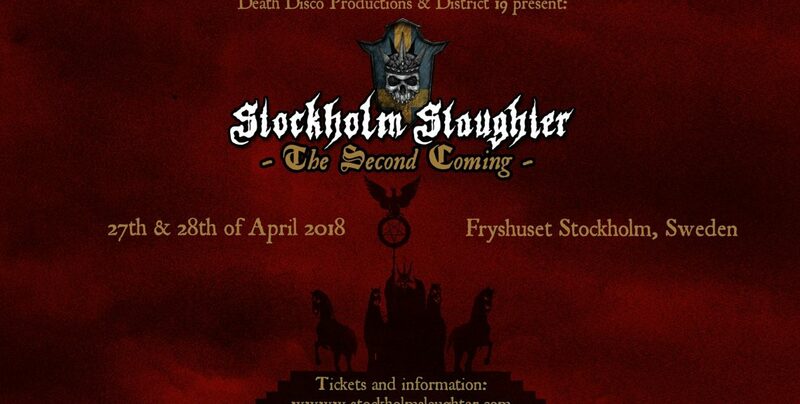 We’d dare say that we have managed to gather a substantial number of internationally celebrated metal acts who are to perform in Stockholm during the last weekend of April, all under the same roof. As previously mentioned, there will be a maximum 5 to 10 minutes overlapp between the acts. This only applies to the bands performing on Saturday. Bands performing on Friday will not have any overlapping at all. In about two weeks time we will announce which days the bands will perform as well as release the one day tickets. To those willing to save some money, we strongly advice you to purchase combo-tickets, as these are limited in number and once these will be sold out, only day tickets will be available. Last but not least, according to Tickster, people from 10 different countries (list available in the comment section) have already planned their trip to Stockholm in the end of April. 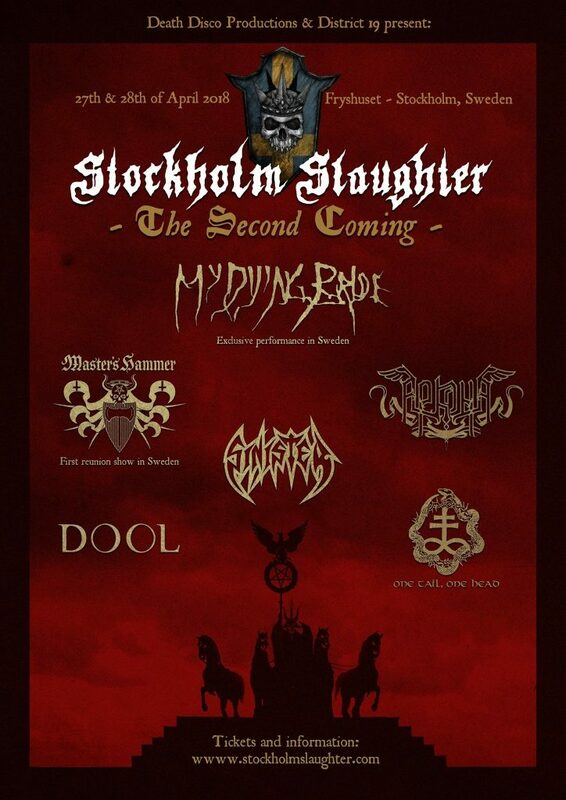 We’re trustful that Stockholm will once again become the international capital of extreme music! 20 bands during 2 days, what are you waiting for?! Combo tickets are available in a limited number. Don’t snooze, ’cause you will lose! 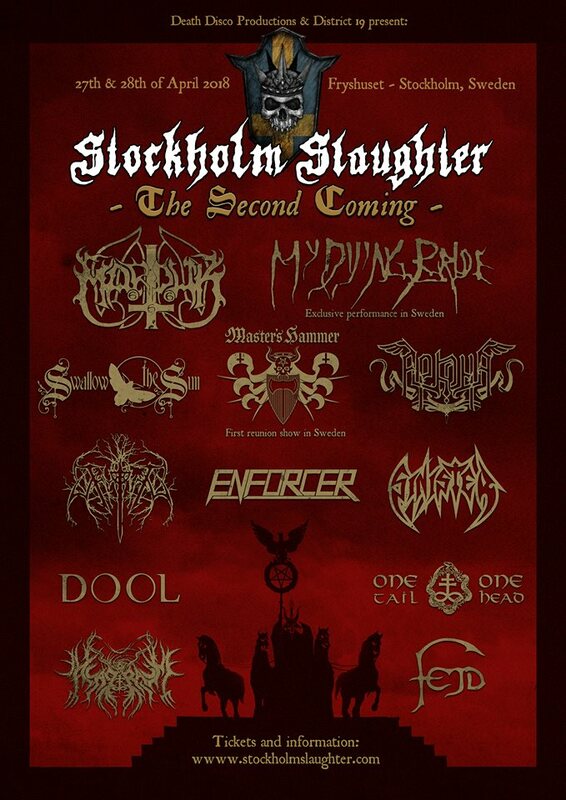 THANK YOU to each and one of you that participated to the first edition of Stockholm Slaughter! It has been a hell of a ride to bring the festival to life and it has been as honor to have such great bands performing on the two stages in front of such a great crowd! Today it is exactly one month since we succumbed into silence after several months of intensive work and preparations. The silence was much needed to take in the feedback received, to analyze and decide whether or not to continue. It will not be an easy task to top this year’s edition in terms of line-up and the received support but we accept the challenge! 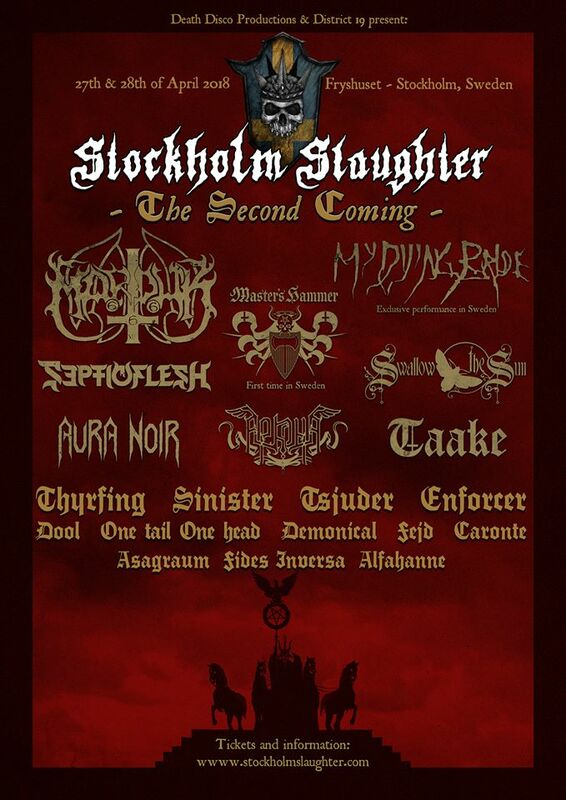 Stockholm deserves its own metal festival where bands play in front of an international audience and we have seen it possible. It was overwhelming to see metalheads from 29 different countries gathering to celebrate acclaimed bands, in a city that is a home-town to so much metal history. We have learned some important lessons after this first edition while going through your requests and complaints. We do encourage you to write reviews or even better, use the feedback-link bellow as a direct communication channel to us. Only with your help and input can we improve the festival. This having said, mark the 28th of April 2018 in your calendars and join us on yet another journey that will lead to a unique festival and line-up!